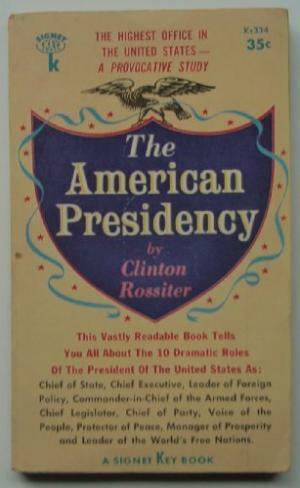 I have a generally positive recollection of The American Presidency, which I must have read over fifty years ago when I was an undergraduate student. I do not have a similar good feeling about this other book. I was genuinely disturbed and distressed by the edition of Constitutional Dictatorship that I fished out of the book bin. The original edition of the book was written in 1948, immediately after the Second World War. It seems it went out of print pretty quickly. 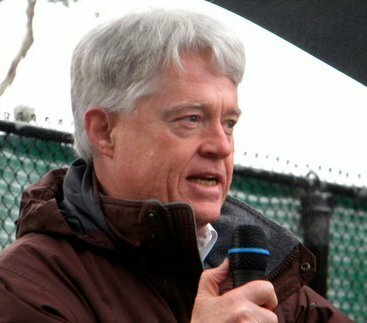 A new edition of Rossiter's book was then reissued in 2002, right after the terrorist attacks that occurred in the United States on September 11, 2001. Rossiter's book is premised on the idea that democratic societies, when they face crises, need to set democracy aside, so they can really get to work on the problems that confront them. Democracies are inevitably unable to deal with crisis. That's what Rossiter argues, and that is what Quirk says, too. I assume that Quirk's introduction is, by now, an embarrassment to him. I surely hope so. Do we really want President Donald J. Trump to be our constitutional dictator? I am voting "NO." I would vote "NO" on making Barack Obama a constitutional dictator, too. Please, people, let's have a little bit of faith in our system of democratic self-government! We have faced a lot of crises, from wars to economic collapse. No dictatorships have been required.